Of course, there are pets who escape home without their collar, and others who may have left home with it, but had it lost along the way. In this case, having a microchip is extremely important when it comes to being reunited quickly with your pet. If your pet has been lost, the ASPCA Pet Safety App provides access to important information to help in your search. The app is free and a must-have for all pet parents. In addition to having been involved in dog rescue for many years, I seem to be a magnet for lost, wandering and escaped dogs. I've actually lost count of how many times a dog has wandered into our front yard, or that I've looked out the window to see a pup walking down our road... missing his or her human. I grab a leash, and out the door I go. It's completely natural for me and I would only hope that someone would do the same if it was one of my dogs. 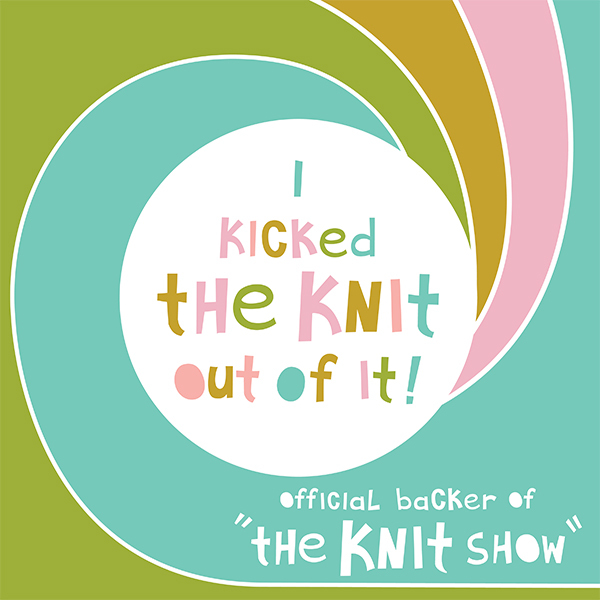 While a few of the culprits were familiar to me, most were not. A simple, inexpensive personalized ID tag would have allowed me to get the dog back home within minutes, however I'm sad to report that the majority of the wandering dogs I've leashed have not had any tags on. This truly baffles me, given the fact that a tag is such an inexpensive security measure. In one case, I had to call our local dog officer after spending 45 minutes looking for a dog's home, without luck (and in our area, that usually means the owner will have to pay a fine to get their lost dog back). In another case, Lola found a sweet hound dog in our yard late one very rainy evening. While he had his microchip tag on, he did not have an ID tag showing his address or owner's phone number. 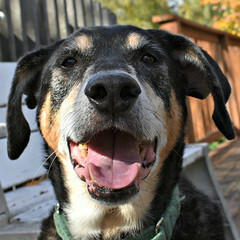 A 1:00 am call to the microchip company resulted in them leaving a voice mail for his owner, who never got it. A second call around 9:30 am resulted in a connection. Fortunately this pup landed at the right "pit stop," as we gladly welcomed him into our home for the night, but not every lost pup can be so lucky. 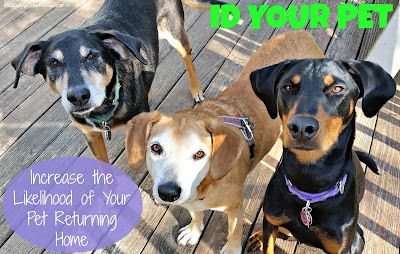 I just can't stress it enough - get an ID tag for your pet! 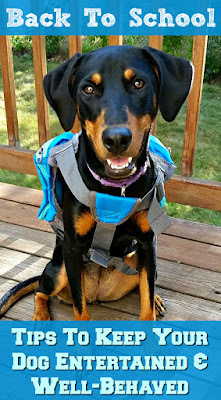 If you like to switch between collars and harnesses, get multiple tags so you never take the chance of forgetting to move the tag over. And always leave a tag on your pet's collar, even if they're "just in the house." You never know when something might spook them, or when someone might accidentally leave a door open. With the holiday weekend upon us, please remember: fireworks and pets don't mix. Keep your pets safe so that you can all enjoy a wonderful 4th of July. To enter, use the Rafflecopter widget below. Mandatory entry is to answer a question in the comments section on this post (hint: click on the Rafflecopter widget first to find out what that question is). Open to US residents only. Disclosure: ASPCA sent a gift pack to Lapdog Creations, free of charge, in exchange for me helping to spread the word about ID Your Pet Day. I was not compensated for this post and all opinions expressed are my own. 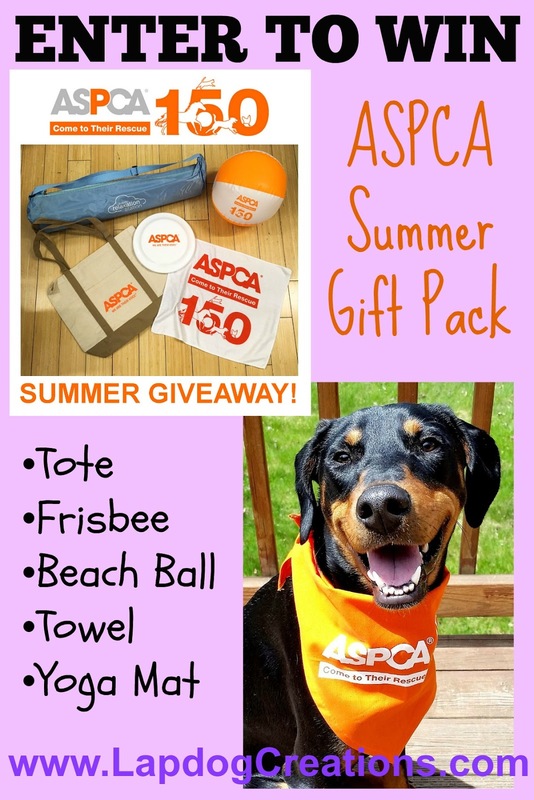 ASPCA is responsible for the giveaway prize. We have two types of tags, one sludes over the collar so it can't come off and one on a loop. Our tags have our vet's phone number on the back in case we're hurt. We're all microchipped too. 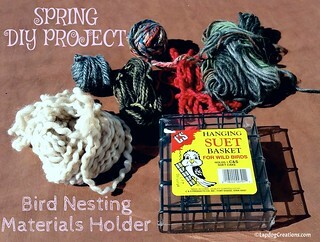 I just got a new tag prior to our trip to Arizona and blogged about it yesterday. I love that my new tag says "I'm Chipped" to notify people that I'm chipped. 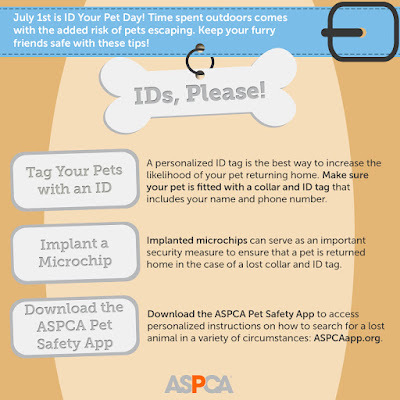 Dogs are Licensed, Microchipped, and have a ID tag! 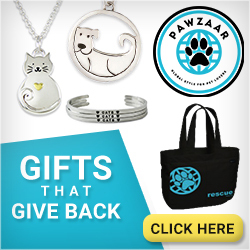 Cats have a ID tag and are Mirochipped! Ruby is chipped plus she also has tags with her name, phone and address. 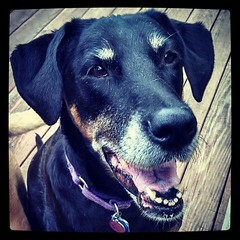 I tend to be super cautious (bordering on obsessive) about losing one of my pets. It's truly one of my biggest fear. P.S. : You absolutely should make a trip to Best Friends. It was truly amazing and I can't wait to go back. Very good reminders! Our dog and cats are all chipped up! And our dog has a collar/tag as well. We are all tagged up here. Any dogs that I petsit for, I add my own tag to their collar with my contact phone number, in case they were to get lost in my care. Hopefully never will happen, but who ever expects it. Like you say, one of the easiest ways to ensure you are reunited! I can't count how many times I have picked up a stray dog only to find tags and have them returned to their homes within an hour! Thanks for sharing! Wonderful tips you have listed. I especially like the idea of having multiple ID tags for each collar. We will be staying indoors for the 4th! Most of the lost dogs we found don't have tags either. Mr. N is tagged and microchipped! My dog doesn't have an ID tag yet. I am searching for the right one. It is so important to have an ID tag! Ginger (my mom's dog) has tags and a microchip. When I have foster dogs, they always have an ID tag with my info and another tag with the rescue's info. Great tips. Truffle and Brulee don't wear collars because of the terrible tangles they'd have in their fur. The timing of this campaign was perfect for Canada Day. Too many pets went missing or, were found without their owners during fireworks! Such a great post especially given the holiday weekend with fireworks! 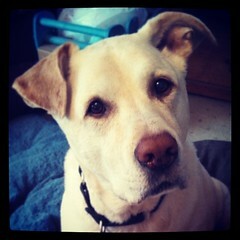 I have downloaded the ASPCA app to have as a "just in case" for my own dog. I'll be recommending it to my clients and their dogs! Fantastic! Good luck to everyone who enters and stay safe during Canada Day and 4th of July! Great tips! 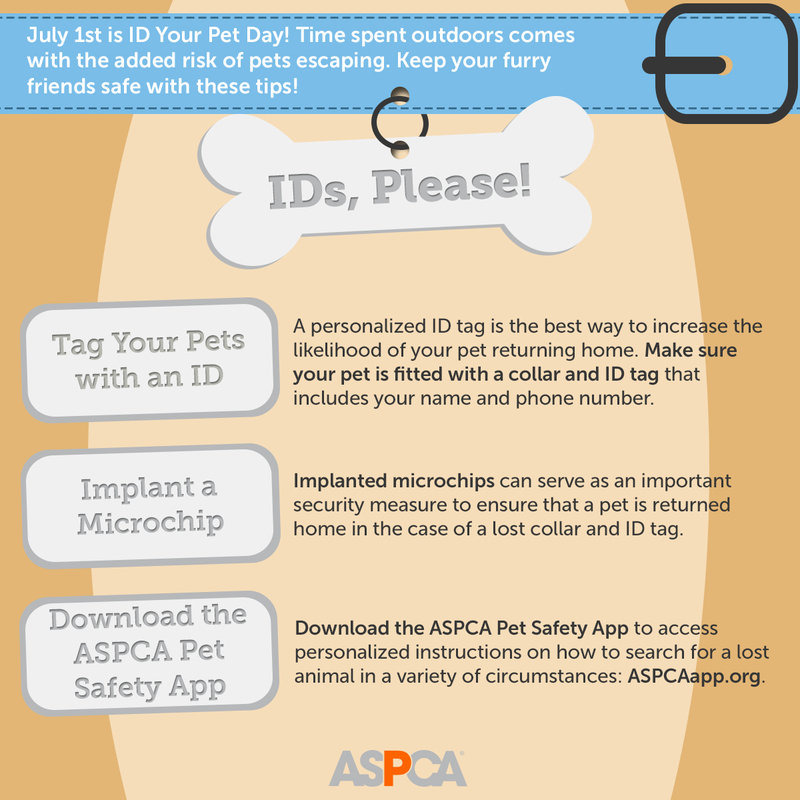 Having an ID for your pet is so important...especially having an updated one! my 3 gals just have tags, my oldest is microchipped. however, my breeder did not want me to microchip her dogs b/c she had a dog die b/c the chip migrated. I think it is really important to have both tags and microchips. 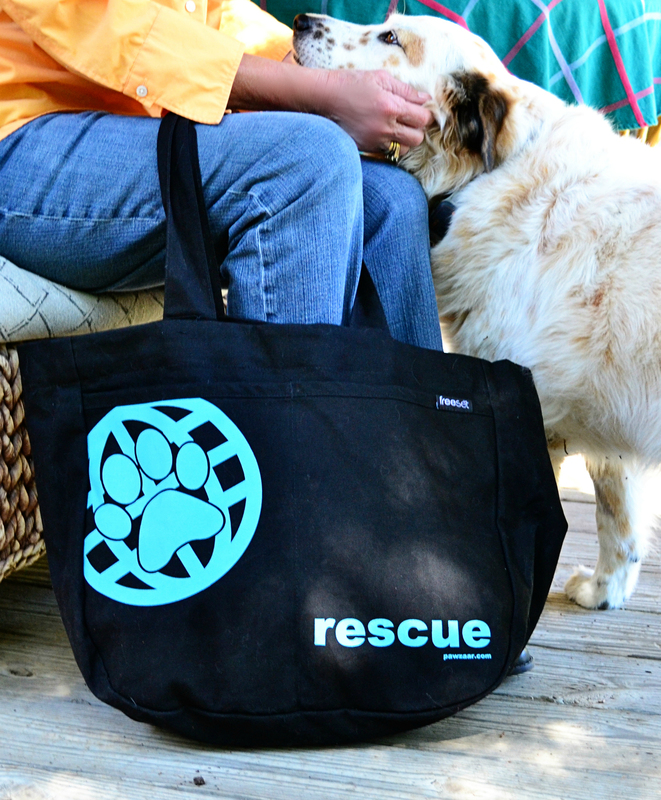 Despite our best efforts, sometimes dogs and cats get lost and it is heartbreaking and scary! This looks like a nice giveaway. Awesome initiative!! It's such an important message. Shelters really fill up over Juky 4th weekend. Dexter is microchipped and has tags and a PetHub tag, too. my pooches are microchipped and both have hanging tags on their collars. He has a boring I.D. tag and a micro-chip.